OUT & ABOUT : THE RED ROSE COUNTY. Being on board the good ship tCC means a lot more than just posting on a board about relevant current affairs, the latest clobber release and the demise of our football teams – for me and the core community that is anyway. I see it more has a being part of a 'commonwealth' that strive to achieve rather than follow. That seek and find rather than let the mountain come to mo’. That get out there in the world no matter what the conditions absorbing a wealth of knowledge and history of their surroundings, to extremes, sometimes – we go all the way. Some may describe this as ‘anorakism.’ I would state we endeavour to be somewhat proud connoisseurs on matters, events and landmarks that we hold dearly to our hearts and that have moulded exactly who we are. There is nothing casual about what we choose to accomplish. Really, to us, it’s what makes us tick. It’s our culture. It’s our way of life. We wear essential kit while on fact finding missions. We don’t see life through tinted lenses, though. 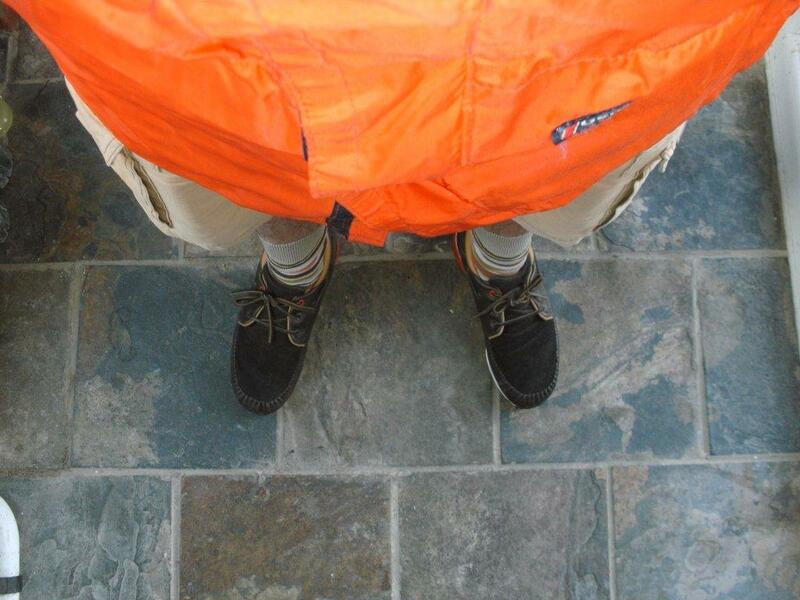 We take ourselves higher. We’ve got northern soul. 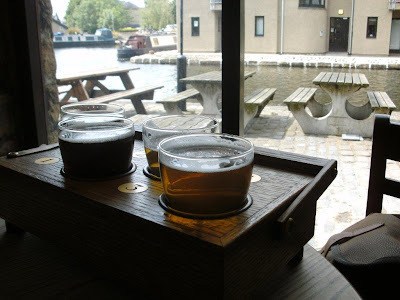 And along the road of our life changing journeys, we stop off at an alehouse, or two. We’re also real ale ramblers, I’ll have you know! The Cold North of England: Firstly, we should learn about our roots and about our ancestors, and just how our forefathers mapped out how we live our lives today. 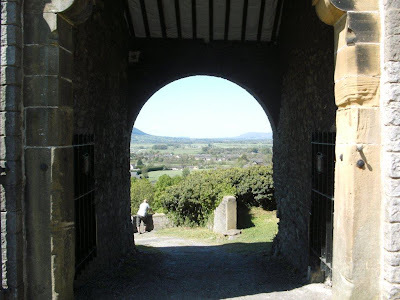 So, stepping over the threshold from where I reside nowadays, Grimsargh, Lancashire, the red rose county, there has been many a historical happening since the village was listed in the Domesday Book, and also before 1080 when the document was quilled. Many of these events occurred within a mile or two of my humble abode, and even under the foundations of where I sat typing these notes up! Grimsargh is a semi-rural village to the east of the city of Preston, whose name is said to deprive from an Old Norse name Grimr, with ‘argh’ added. Following the departure of Romans from the North (Roman roads cambered outlines can still be visibly seen in fields around Grimsargh) and the invasion of Anglo Saxons, boats laden with Viking Norsemen landed on Northern shores. Some of these Norsemen set up a settlement near to a hamlet of Anglo Saxons in Brockholes. They made wooden shelters and ploughed the fields, and seemingly lived in harmony with their near neighbours and called the pasture, Grimsargh. We are honoured to be associated with our Scandinavian brethren and the protectors of the North. There are Vikings hewn in old stone farmers gate posts on the outskirts of Grimsargh, displaying our pride in our heritage. Just two minutes away from my base camp is Three Mile Cross - what’s left of the original cross that is. This medieval stone cross was erected between AD 1100 & 1600, and is situated 3 miles from Preston as a former guidance for wayfarers trekking A-to-B over wild, windswept moors, probably knee-deep in shite, to help with their whereabouts, years before maps, compasses and the God send of modern technology that is, Sat-Nav. The cross is logged down in the first nineteenth century Ordnance Survey records as one of around 500 wayside crosses in Lancashire. There are only few rood symbols that remain fully intact, most are ‘headless crosses’ – meaning, they’re missing their heads and arms. And Three Mile Cross is also severely decapitated with only a square foot of the shaft base protruding from the ground in 2011. But, a new Latin cross carved out of Longridge – a nearby town and then quarry – stone was erected in the socket of the ancient base remnant in 1920 to honour the dead of the Great War – RIP, lest we forget. A motorway bridge over a... motorway, is a couple of miles from my home, but not just any motorway - even though it’s now a part of the M6 – this is the Preston By-pass – I do often wonder why folk wanted to by-pass our town? - was the first stretch of motorway constructed in the UK in 1958. This would be a ‘guinea pig’ for the future of the modern day motorway system with many a Irish ground-worker crossing the Irish Sea to work on the project and then also laying roots down in Preston. Within a month of opening the motorway had to be closed due to problems with the roads surface. Two major bridges needed erecting too over the River Ribble for the connection to be completed; this is a river where you could back then, tickle trout in the shallows and catch the beast of a fish to have with chips cooked in beef dripping for tea, following a hard days graft at a local mill or at the docks. And also fresh water mussels could be gathered for the making of a traditional Lancashire hotpot. 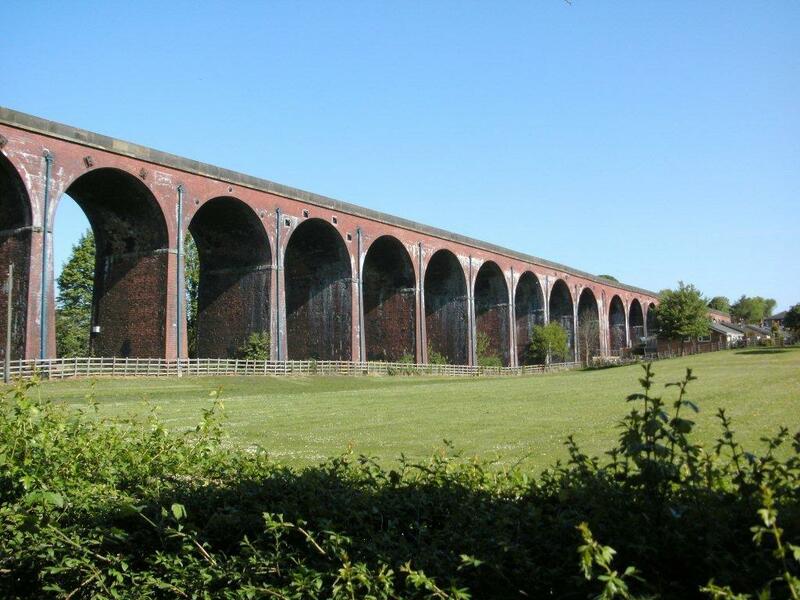 Centuries before, The Battle of Preston, during the period of the Second English Civil War, took place at Samlesbury Bottoms where the bridges are situated. Plus the largest find of Viking treasures, the Cuerdale Hoard, ever discovered in Britain was stumbled on once on the banks of the river. 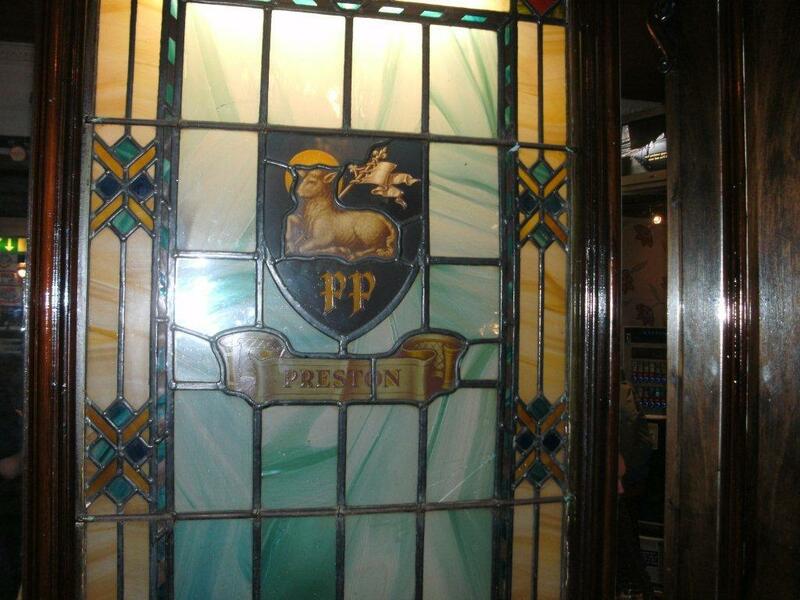 Preston: Preston’s coat of arms are on display in a cracking wee boozer in town, The Wellington, in the form of a stained glass leaded light. The coat of arms are a medieval Paschal lamb which dates back centuries with PP underneath; PP standing for either Princeps of Palis, Prince of Peace or Proud Preston. Less than a bottle throw away was a factory, the Gold Thread Works, est 1827, which closed down two years ago that provided the Queen with thread for her wedding cake, the Titanic staff’s uniforms piping, Winston Churchill’s Knight of the Garter and, they faked English spies operating behind enemy lines realistic ribbons for their German medals. Not bad that for a manufacture and pub on the most notorious street in Preston/England. Although never a major port, Preston pioneered roll on roll off ferry transport in 1948. Albert Edward Dock opened in 1892 - at that time it was the largest single dock in the country. By the 1960s the port held the record for the handling the largest amount of container and ferry traffic. Traffic reached a peak in 1968, when 500 dockers were employed and 1,437,000 tons of unit load trade passed through the port, 16% of the UK total. Both the aforementioned industries are nonexistent in today’s working environment. But when Preston were a ‘boom’ town, it was only second to Southampton for public houses in its square mileage and population. Sadly for me, and others, most of these working man’s institutes are either boarded up, knocked down or have been turned in to Asian restaurants. Preston was the first provincial town outside of London to have gas street lights erected in 1816. There is also row of 8/9 red phone boxes is the longest row of old style kiosks anywhere in England that are still useable and Preston were the first to install public phone boxes in bygone times. We were the first to open a KFC back in 1965, the year of my birth. And Preston has the brutalist beauty that is, Preston Bus Station. Only documentation has recently been passed in the last month or so to erase the landmark from the skyline in the not too distant future – a travesty. Venturing further afield, there is an abundance of countryside, villages and towns, plus one other city, of interest in the red rose county. Of late I’ve visited nearby Longridge, and The Palace cinema. Quite a few tCC members consider themselves film buffs/geeks, and flicks can be watched in the former weaving shed which is one of the oldest surviving cinemas in the UK with a tea or coffee severed in a proper mug. 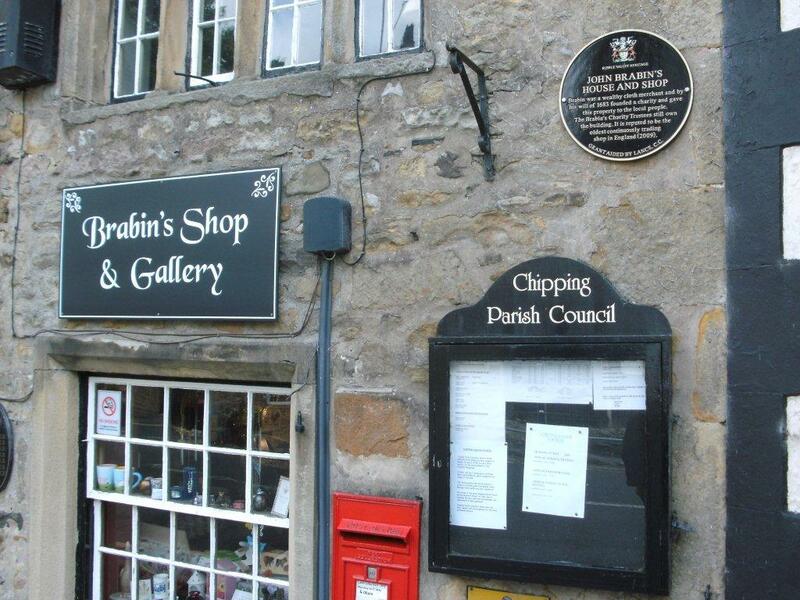 Travelling east of the town lies Chipping. The village situated in the Forest of Bowland Area of Outstanding Natural Beauty and also holds the accolade for having the longest continuous building used as a shop in Britain, the now Craft Centre. One of the two village pubs, the Tillotson’s Arms, serves up some might fine ales, tucker and free range pickled eggs too. Over the last month or so I’ve made jaunts to the picturesque village of Whalley and Clitheroe town. 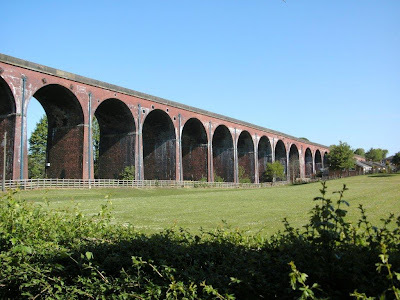 Nestled on the banks of the River Calder, Whalley, boosts a 48-span railway viaduct constructed between 1846-1850 built out of 7 million bricks and 12,338 tons of stone. A major feat long before today’s modern technology (it would keep me busy for several years nowadays). 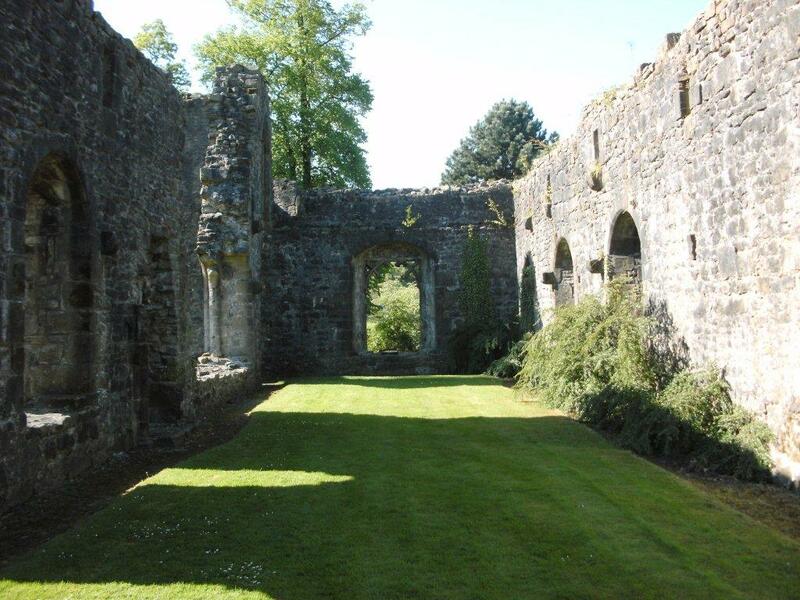 There’s also ruins of an abbey dating back to the 1170s. And there are four cask ale pubs only feet apart. 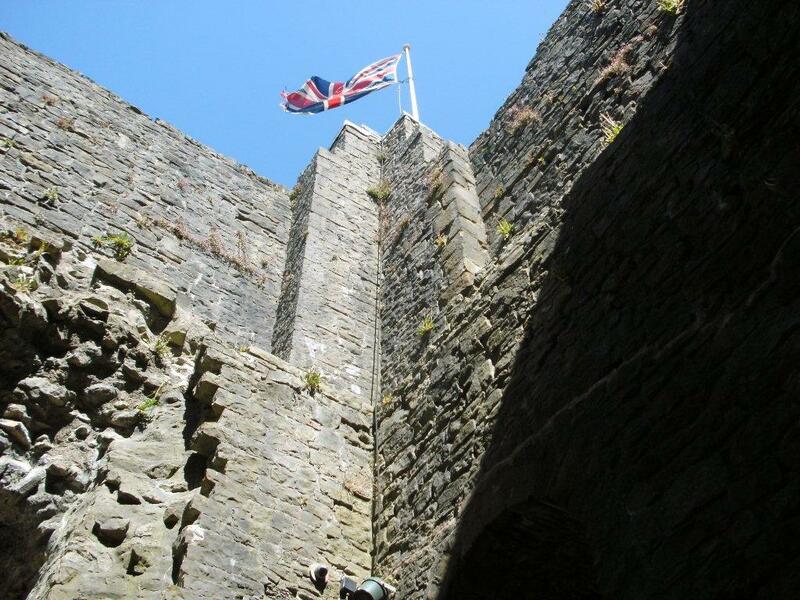 A hop, skip and jump down the road is Clitheroe, and a Norman castle which was the smallest keep in England. The views from the castle on a sunny day are breathtaking. 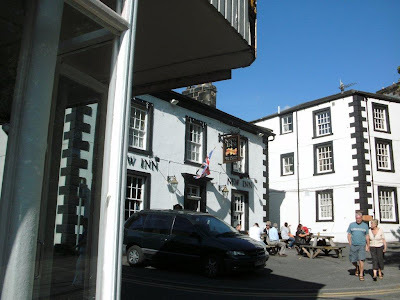 And at the foot of the castle is a real ale lovers paradise, the New Inn. The characteristic pub stocks a multitude of 10 ales at any given time. There’s also a butchers, Cowmans Sausage Shop, that sells over 70 varieties of homemade sausages which are bloody lovely on a wholemeal bun with a drizzling of mustard, yum. And just the other day I boarded the rattler to the city of Lancaster. 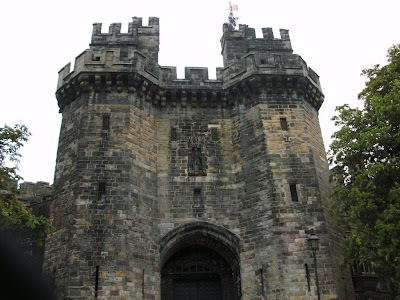 Lancaster has a long existence as a commercial, cultural and educational centre, it is also the settlement that gives Lancashire its name. The city has several ties to the British monarchy and was granted city status in 1937 for its long association with the crown and because it was the county town of the King's Duchy of Lancaster. 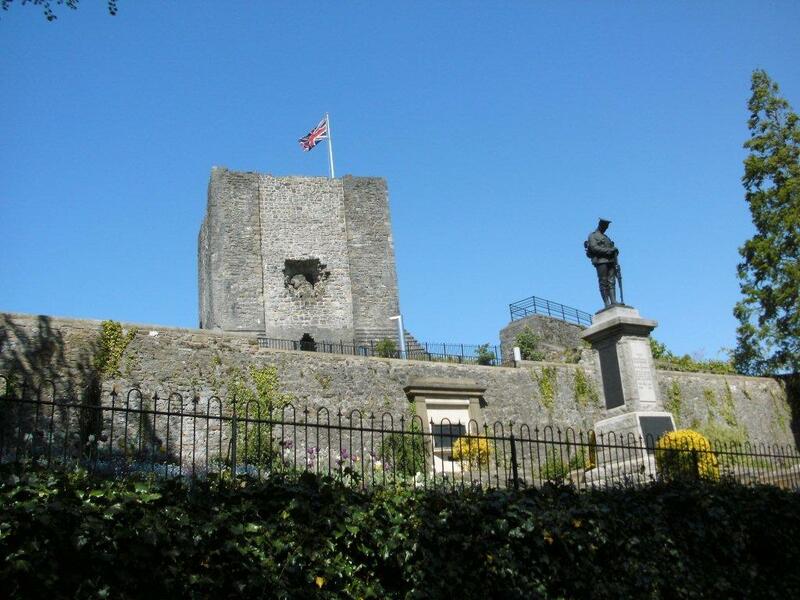 In the centre of the city in Lancaster Castle steeped in almost 1,000 years of history. At the present time it doubles up as a prison which is home to 240 category C inmates (it it due to close very soon though) and a Crown Court. 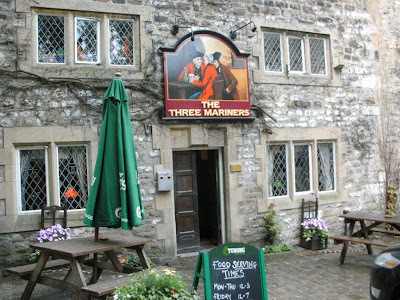 I’d a stroll to a the unique gravity fed cellar pub too, the Three Mariners. 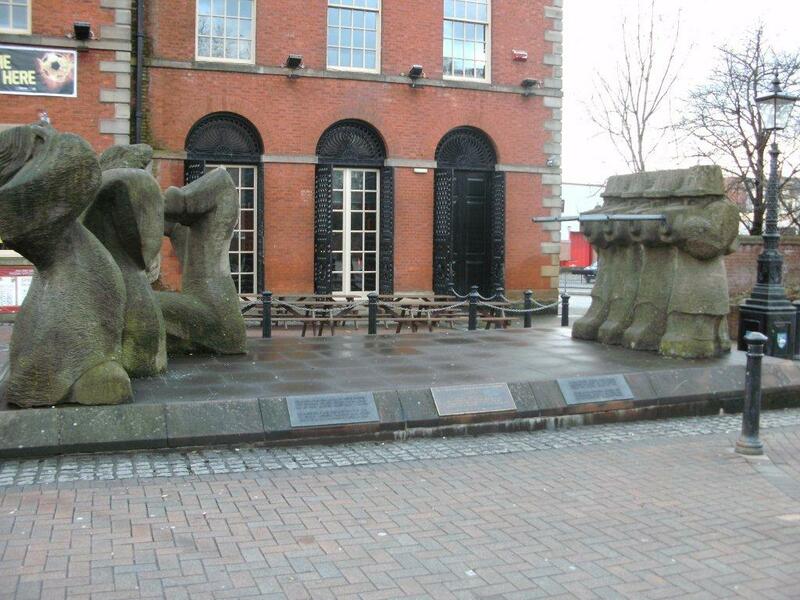 Formerly called the Carpenters Arms, the Three Mariners, which is over 700 years old, is situated on Bridge Lane, adjoining George's Quay, which once had 20 alehouses along its length. The ale they serve is kept cool by a natural spring that seeps through the Castle rock face behind the pub. 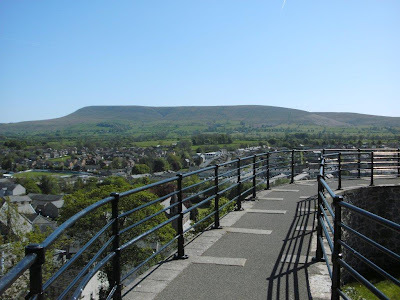 There’s plenty more places of significance and substance in Lancashire, and some carbuncles too – namely a certain seaside resort. But the on the whole the sparsely spread Shire isn’t that bad compared to other counties in England, I tell ya. 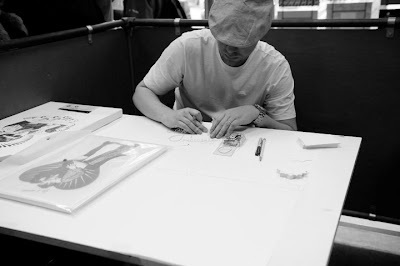 We are hugely proud to announce that the fourth installment of our summer collaborations will be with Ben Lamb. 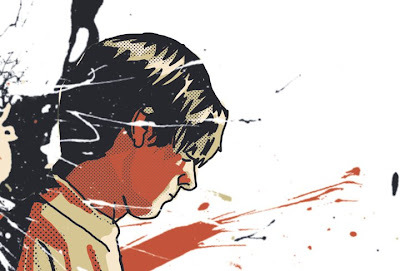 Ben is a Manchester based illustrator who's excellent work I'm sure you'll already be familiar with, clients include Oi Polloi and their Pica Post publication, Piccadilly Records, Manzine, Levis, Night and Day and When Skies are Grey. BEAUTY IS IN THE STREET. Many will already know all about the 1968 Paris student uprising, with the highly iconic imagery which came as a result. Something we, those before us and since, have paid tribute to over the years. 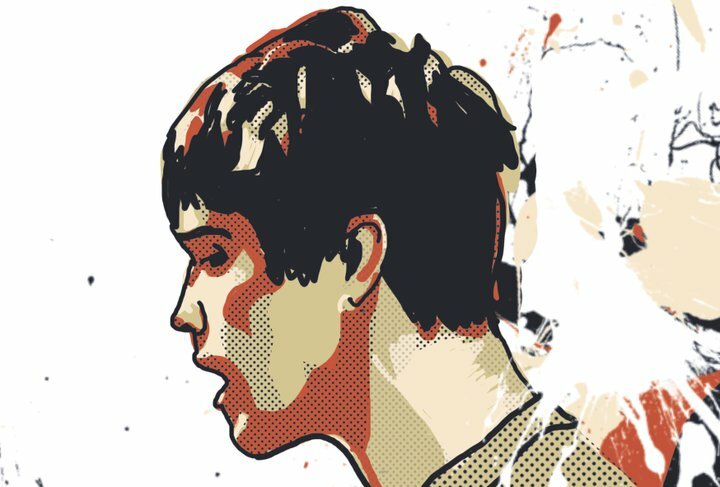 Let's not underestimate the impact it has had in popular culture, inspiring music such as the Rolling Stones and The Stone Roses, The Pretenders and The Chemical Brothers. Films such as Bertolucci's The Dreamers and Godard's La Chinoise and literature such as Derrière la vitre by Robert Merle and The The Merry Month of May by James Jones. In May of that year Paris ground to a halt, demonstrations against the French government spread across universities, factories and the workplace; resulting in a general strike of eleven million workers that brought the country to a virtual standstill. Among the students were a group who called themselves the Atelier Populaire, who produced hundreds of hand made posters to encourage the protesters and to report on police brutality and political propaganda. Many of which look as striking and provocative today as they did back then, most of which have become sought after genuine works of art. Here's the first look at the second in our collaboration series - this time with our Swedish brethren Our Culture. As seen modelled on the Stockholm waterfront. Available in three colours soon! The Protectors of the North - A good friend of our recently said that ”The north” is a state of mind. We agree. The grim weather, the isolation, long seasons of darkness when all you do is hide inside. The melancholy and the deep thought thinking that often is mistaken for grumpiness. Dramatic landscapes carved and shaped in time. The grace of gold on eastern shores and the grace of kings on western fjords. The North has it’s way of getting to a persons heart where it remains forever. This is our way of honouring the protectors of this way of life. Men who found their call in the snow, on the mountains or on the raging Nordic sea. Some just want to get away and there are those that just arrived but want to stay forever. Then, June will see the release of our third in the collaboration series. Essential Kit a design, combining a re-working of one of our original designs and also an update of sorts of an exclusive forum Members t-shirt from a several years ago. Another collaboration with Section 76, this sees some our favourite items together in Airfix style. We are proud to annouce that later this summer sees us taking things up a notch, with some seriously nice shirts or shirtings if you are that way inclined. Starting with three, a checked three pocket button down coming in a lovely Woven check and Purple gingham. We also have our take on the classic Chambray work shirt, with lots of nice little details, no less than six utility pockets and subtle branding. All topped off with our now trademark touches. These are custom manufactured within the EU. We are very happy with how these look and feel. Scheduled for a July release all being well. Our 'Beat a Storm' raincoat will be back in time for late summer, festivals and the new football season, coming in three classic, old school colours, Red, Grey and Yellow. Once again another limited release, these practically sold out within hours earlier this year. Scheduled for a June/July release. Note, Due to demand our recent Peter O'Toole and Casper t-shirts will be restocked over the next couple of weeks....CHECK BACK for more updates and further news of another exciting addition to our summer of collaborations. I doubt you'll see a cooler magazine than this on the shelf at Smiths this month. A few months ago Little White Lies magazine tweeted their readers to name the one film in history they would love to see on the cover of their mag. They were hoping for a really positive response, and it duly arrived with a bunch of people suggesting Apocalypse Now. OUT & ABOUT : NORTH WALES. A nice jaunt into the (North) Welsh countryside, and what beautiful countryside it is! Taking in a hike up Tryfan, Wales' 12th highest peak, and up to the North Ridge - the toughest climb, with an ascent of around 8000ft completed and stickered in just two hours! The adventure didn't stop there, taking in a kayak around Puffin Island (Ynys Seiriol in Welsh) off the coast of Anglesey, this is uninhabited and is designated a Special Protection Area on account of its large cormorant population. Other sea birds such as Guillemot, Razorbill, Shag, Kittiwake and Eider ducks are also found. Don't expect to see many Puffins though as the Puffins from which the island gets its name were decimated by the accidental introduction of rats in the late 19th century. Pictures and words from T25.